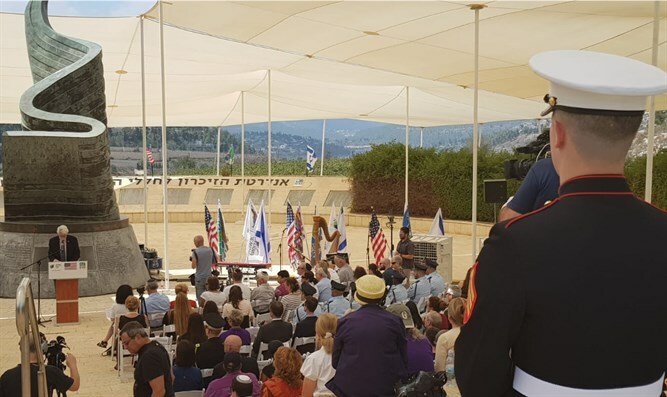 US Ambassador to Israel David Friedman spoke with Arutz Sheva about the moving memorial event held this morning, Thursday, at the 9/11 monument in Jerusalem. Friedman also described how he first learned of the 9/11 attacks. “I was literally just walking out the door on the way to work and my wife mentioned to me - it’s really no different from anyone else - that the plane had hit the first tower, I assumed it was an accident, turn on the TV, we were watching the TV as the second plane hit. It’s a day I’ll never forget, and I don’t think anyone else will, but if you look at where we are 17 years later, it’s really a testament to the ability of the US, Israel and democracies everywhere to endure.